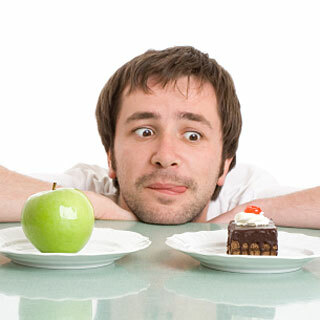 The concept of "self-control" is an often misunderstood thing. We begin in life seemingly having no self-control and that changes rapidly as the days roll on, or does it? I am an avid watcher of those around me and I get so much information on this topic daily that is astounds me. Just yesterday I was in a laundry facility because my home machine was on the brink. I had one load so it was a simple visit. I had never been in this place in 5 years and it is 4 minutes from my house at best. Upon entering the place, I got an instant feeling of low vibrational energy. I cannot tell exactly why, it was just there. I asked how long it would take if I dropped the clothes off and the response was, "ONE DAY!!!!" I proceeded to look for an empty machine and I even greeted the two people who were working there, however, they both nodded without any greeting. I approached the cashier and asked for change to feed the machine. I was asked how much I needed and it was given to me. I began silently speaking with myself and reminded my ego that I was in here to do one thing, wash clothes. Even if these people were not in the least bit friendly, that should not block my purpose there. I loaded the machine and at the last moment decided to create two loads. So I fed two machines and started them simultaneously. In an instant, one of the machines started to overflow from the compartment where the soap is added. I looked over at the man and he told me that its fine. "The machine is just that way", was his rather frustrated and short tempered response. I stepped back and watched the water go back down, however, I had not added soap as of yet. So I was concerned that I had missed the chance to add soap. He told me that I can still put it in and that it would mix in during the second cycle. As I write this, I just remembered that I forgot another part of this story. When I was loading the machine, I snapped a dress shirt open so as to loosen the french cuffs, which were folded. Immediately after I did, I heard a loud voice blurt out, "NO!!! NO!!! !TOO Dusty!!!" This woman who also worked there was either telling me that the place was dusty and that I was spreading it on her, or that my shirt was dusty. One of those statements may have been true, I'll leave that to your own imagination. I received a call shortly afterward, so I spent the next 20 minutes on the phone. I decided that I would walk the clothes home with a plastic bag and dry them at home one block away. I thanked them and walked out when my clothes were ready. I will not return there. Its amazing how little things and small interactions can truly make an impression in our minds. I am blogging about this because a dear friend that stimulates me with some of the greatest questions asked me about my view on self control. My friend seems to think that I have quite a bit of it and was curious how I manage to hold on to it from day to day almost without incident. The truth is there are many incidents, its just that I arm myself with more internal tools that stem from my mind than the incidents that come up can handle most times. I probably read 10 to 20 pages of personal development a day and at least 15 minutes of audio that keeps the mind strong daily as well. So in the situation that I described above, I knew that I could possibly lose it. The pieces of that interaction were so simple and seemingly unimportant, unless you care about each interaction no matter what, as I do. I believe that when I leave my monetary contribution in someone's business, I deserve a minimal level of respect at the very least. That is a "self" induced rule, therefore, I had to exercise my own self-control and not treat those people how I felt that I was being treated. There are always other options as far as places to eat, buy clothes, wash clothes, or anything that you have to take care of no matter what. I utilize those other options quite frequently. I have heard it said that "self-help" is a hoax of a concept. However, I believe that if you can control yourself, then you can also help yourself. This is not 100% across the board because nothing is at the end of the day. The actual section in the bookstore labeled "self-help" is growing rapidly. There must be a fundamentally good reason for this don't you think? How is it that a person can read a book by Tony Robbins called "Awaken The Giant Within", and start living a completely different way from that point forward? It's because their actions were self-induced. There was no guarantee that those mere words between the pages would do anything, however, some seeds were planted and years later a redwood tree stood in their mind. That person would be me by the way. That was the first personal development book that I ever read. I still have it in my home and it is worth thousands to me. The great thing is that you can own it for pennies on Amazon or you can read it for free at the library. So why is it so valuable? It is because that is what I decided it to be. The words and the stories influenced my thinking and my actions. Will it change your thinking? If you like what you read and you tell yourself that it will, then it most likely will.